It was a little over a year ago that I first fell victim to veganism during a holiday in Los Angeles, a vegan’s culinary mecca. No, it wasn’t an effort to stand up for animal rights or a health conscious decision nor was it an effort to fit in amongst LA hipsters, rather it was a complete accident. Being in the presence of practicing friends and fantastic vegan restaurants, the math was simply in favor of veganism. It wasn’t until I was elbow deep in Sweep Potato Flautas at Gacias Madre that I realized I had in fact gone vegan. I searched high and low for vegan dishes upon my return to Dubai trying to replicate the tempah bacon and cashew cheese Bacon Chili Cheese Burger from Sage Vegan Bistro but my vegan diet saw its demise quickly once I returned to the emirate. Fast forward to New Year’s 2016 when my husband casually suggested a post-holiday vegan cleanse in the interest of his budding cholesterol levels our mutual health and well-being, visions of the vegan Mocha Brownie Chip Cupcakes from LA’s Erin McKenna Bakery overcame me. Challenge accepted, I eagerly opted in, claiming responsibility for both of our palates for the next seven days bound and determined to replicate my Los Angeles experience here at home. I knew that if I didn’t dive in head first and plan well, it wasn’t going to happen, so I quickly rummaged through Pinterest, gathered a wealth vegan recipes and sprinted to Spinney’s to stock up on enough produce to get us through the week. 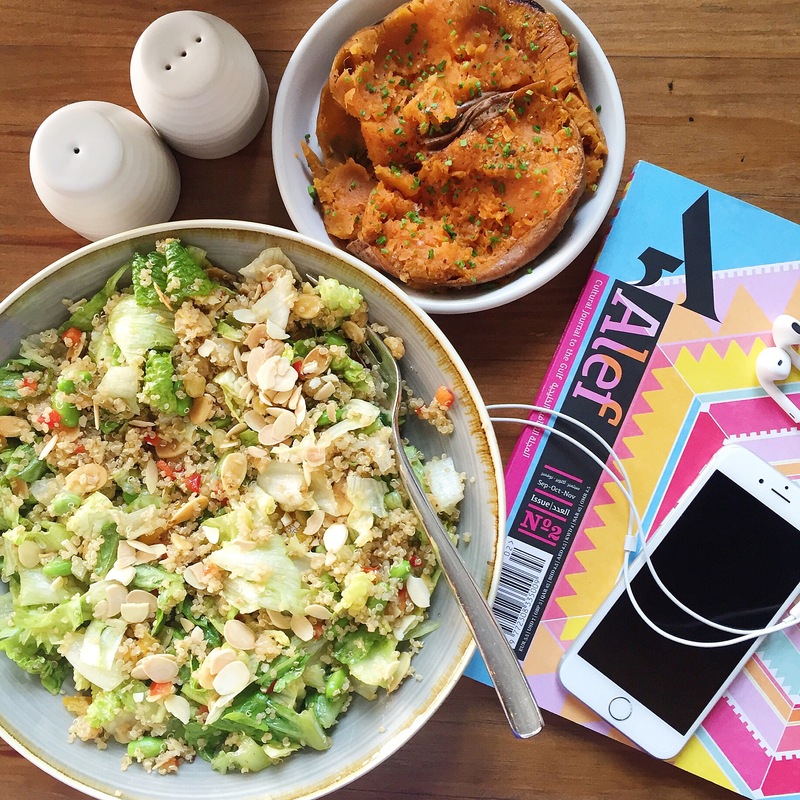 My kitchen was transformed in a workshop, I prepared breakfast jars, quinoa salads for packed lunches and prepped for daily dinners. 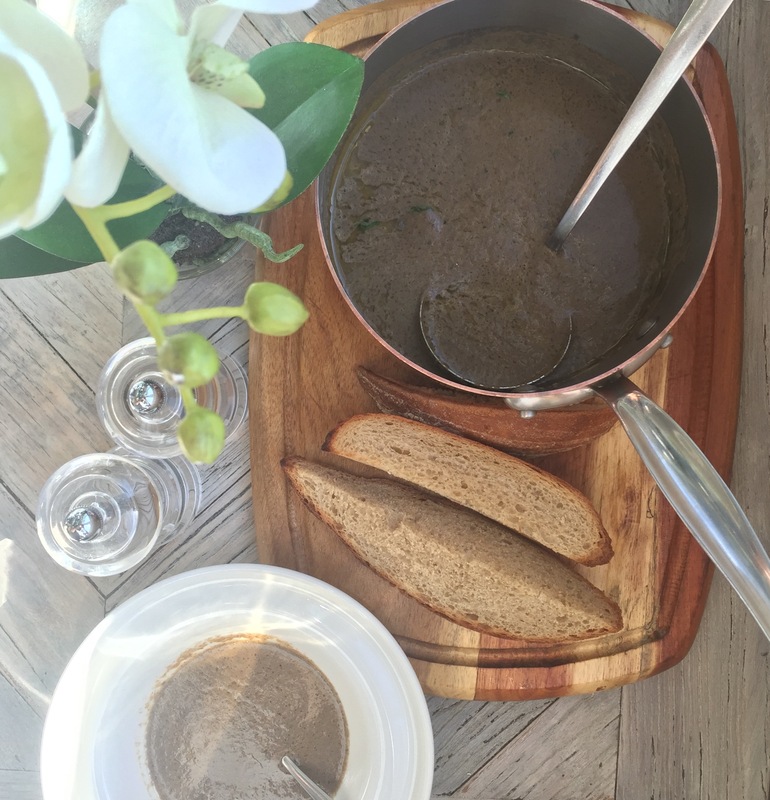 The week was full of lessons and plenty of trial and error, I now know that mushrooms can never replace beef in a Bourguignonne – Julia Child would be so disappointed, I also learned that carbs are consumed in overdrive in an effort to fill the meaty void. 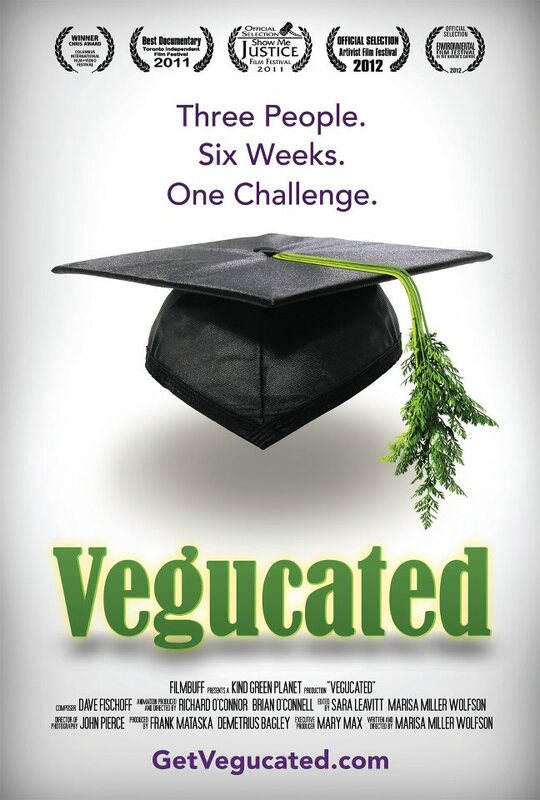 Some of our biggest lessons however came when we rented the documentary, Vegucated, midway through the week. The documentary is playful yet enlightening as it follows the journey of three volunteers who embark on a 6-week vegan challenge to ultimately encourage more environmental and humane food choices. Dubai’s restaurant scene also proved to be more vegan-friendly that I imagined, I built my own salads at Pascal Tepper, indulged in falafel at Operation Falafel, devoured salads and sweet potatoes at Urban Bistro and had a wonderful Wild Mushroom and Truffle soup at The Hampton’s Cafe. Above all, I’ve realized that becoming vegan is absolutely attainable, I wasn’t plagued by meat cravings and felt completely revitalized by the end of the week. Moving forward, I plan on incorporating a lot more vegan choices in my diet and ultimately would like to reduce my meat intake. 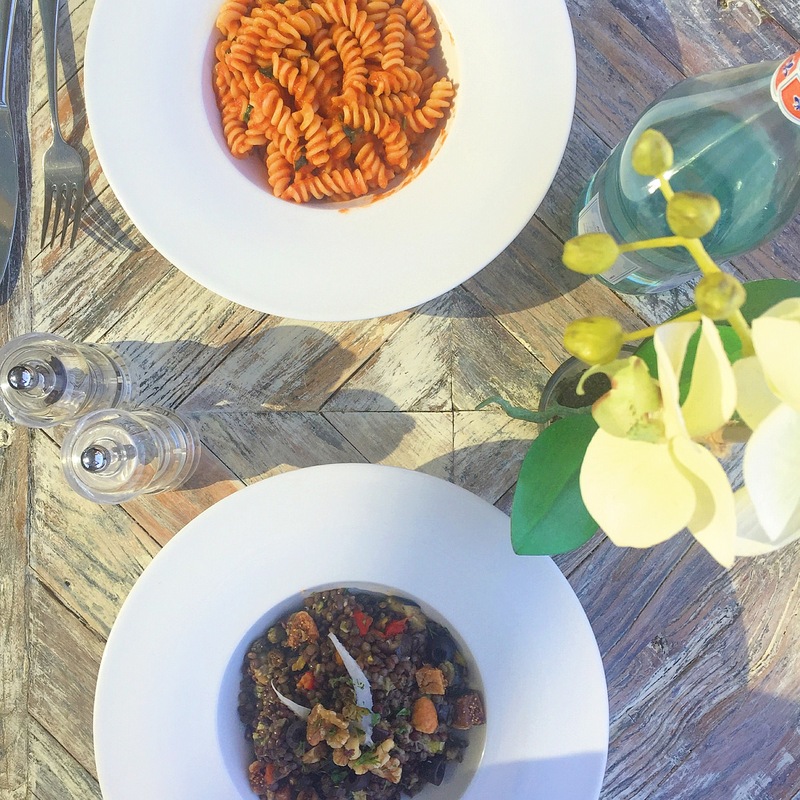 Below I’ve shared my favorite recipes from the week, I hope you enjoy them as much as I did. I find it very difficult to find quick breakfast recipes that I can make without a waffle press or a skillet, so this smoothie was the perfect solution. This smoothie bowl in particular is such a treat, sweet, creamy and quite filling, it serves a cross between breakfast and dessert! Place all the ingredients in a blender and blend until smooth. If your blender isn’t powerful, you can use only regular bananas or just blend the rest of the ingredients before adding the chopped frozen bananas. Add your favorite toppings. 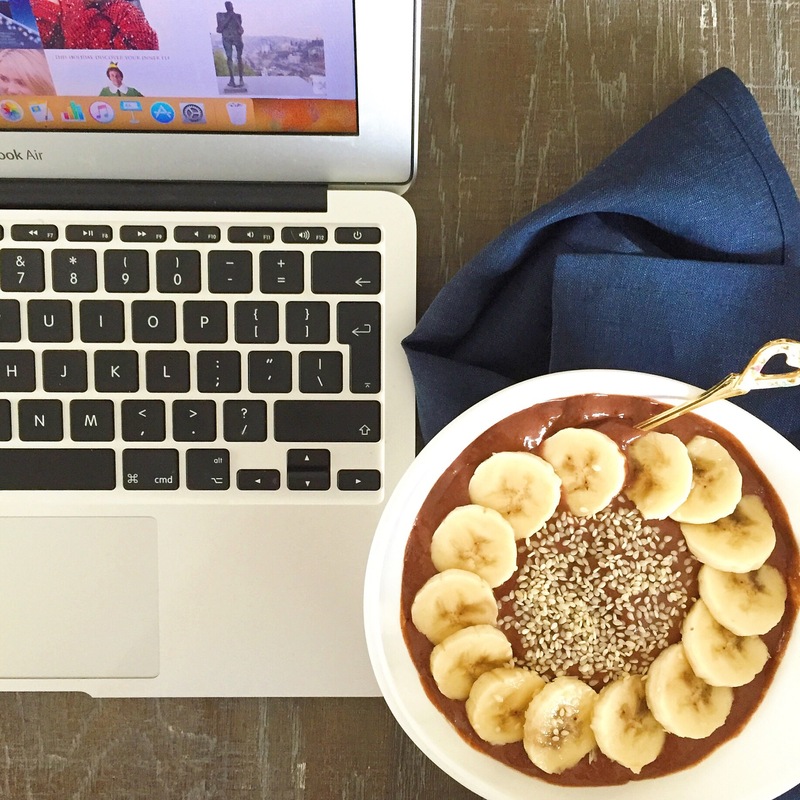 You can add sliced banana, shredded coconut, chopped dark chocolate, peanuts and sesame seeds. Original recipe from Simple Vegan Blog. I had some leftover pureed pumpkin from the Pumpkin & Sage Penne (recipe below) so I when I came across this recipe on Pinterest I knew that the pureed pumpkin would pair perfectly with chia seeds and so this recipe was born. Pour the coconut milk into a small saucepan and place over medium heat. Stir in the pumpkin, maple, vanilla, cinnamon, nutmeg, allspice, and salt, to combine. Bring the mixture to a simmer, reduce the heat to low, and cook for several minutes, stirring occasionally. Pour into a bowl, and let cool completely. Once the pumpkin puree mixture has cooled, gently stir in chia seeds (3 tablespoons to every one cup of liquid – add liquid or chia for desired consistency) until combined and let sit 30 minutes in fridge until the mixture has become like a pudding. 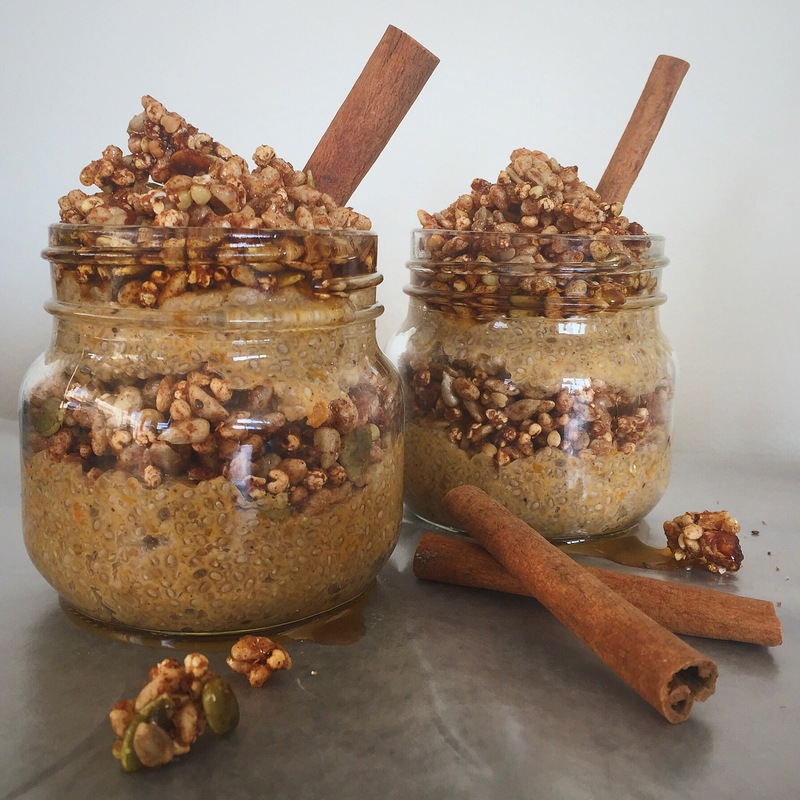 Layer the pumpkin mixture in serving dishes with the your favorite granola. Sprinkle with cinnamon and nutmeg, to serve. Recipe inspired by and adapted from Go Dairy Free. I’ve always wanted to make cashew cream and this was the perfect recipe to start with, flavorful and ever so easy! 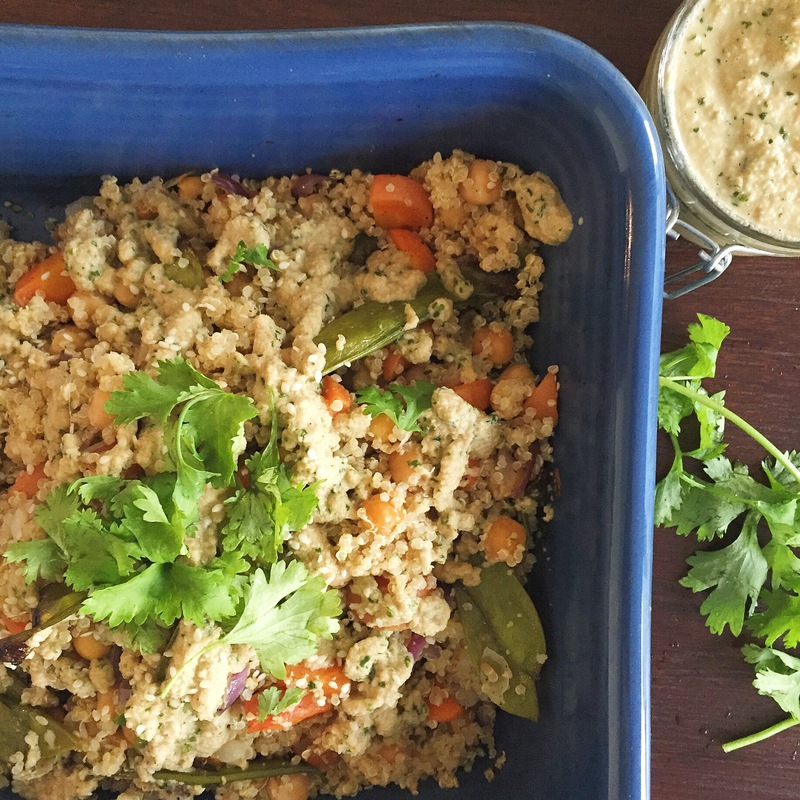 In a bowl, toss together vegetables and quinoa. Spoon sauce over bowl and serve. Save extra sauce for later uses. 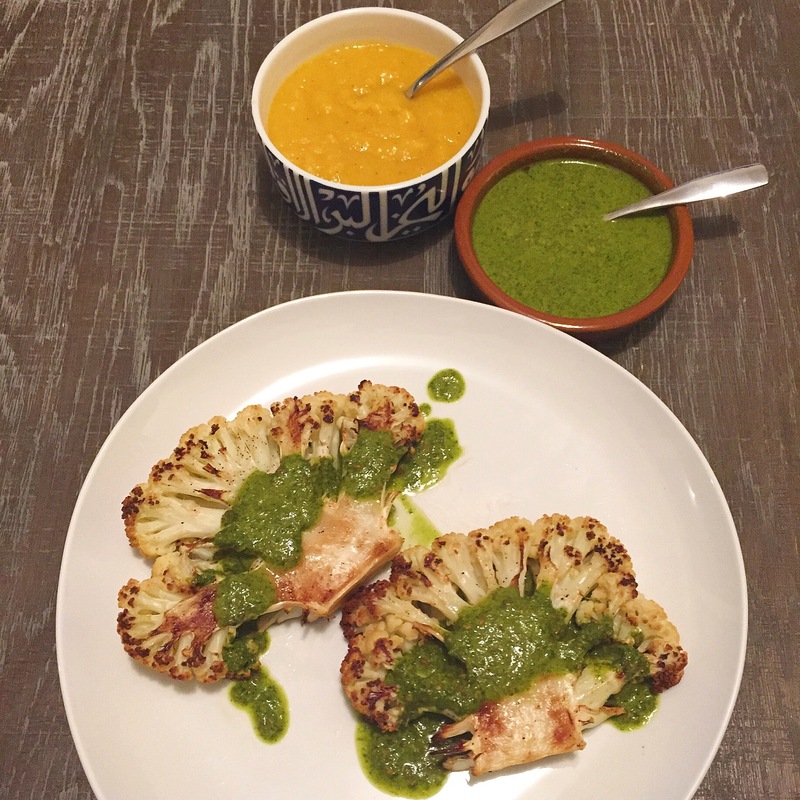 Recipe inspired by and adapted from Naturally Ella. This was by far my favorite recipe all week and an all around crowd-pleaser, its vibrant with flavor and incredibly filling. I’ll definitely be adding this to my files for the future. Add cumin and coriander to a cast iron skillet over low heat. Toast until fragrant, 3-4 minutes. Remove from skillet and place in a mortar and pestle. Take heads of cauliflower and remove exterior leaves and part of the stem. Place stem side down on the cutting board. Cut two ½” steaks from the center of the heads. 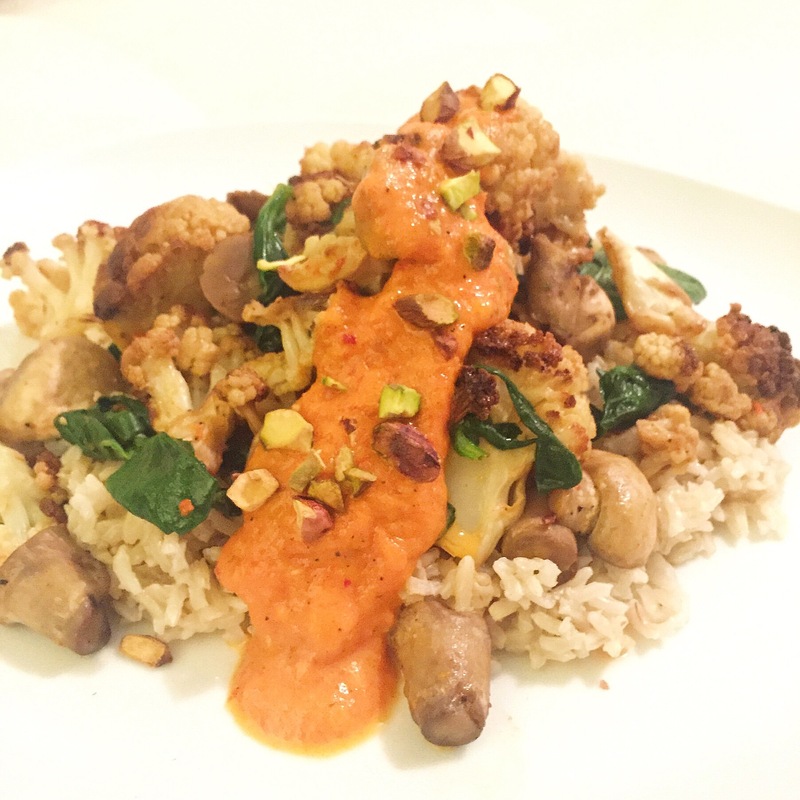 Reserve remaining cauliflower for Roasted Cauliflower with Roasted Red Pepper Sauce over Brown Rice (recipe below). Preheat oven. Carefully rub olive oil over all sides of the steaks and sprinkle with salt and pepper and place steaks on baking tray and roast until tender, 15-18 minutes. To make harissa, grind toasted spices. In a food processor, add garlic and cayenne, pulsing until minced. Add in green onions, cilantro, and ground spices, pulsing again. Finally, add in oil, lemon juice and salt. Run food processor, scraping down sides occasionally. Add more olive oil/lemon juice if harissa is still to thick. Serve steak over cooked brown rice (optional) with a heavy spoonful of harissa. I am in love with butternut squash soup, most often I make it with carrots and coconut milk but was excited to try it with apples and cinnamon for a completely different and subtly sweet taste. Garnish ideas: slivered apples, or roasted pecans! Recipe inspired by and adapted from Lexi’s Clean Kitchen. This was also a favorite of the week although the end result looked sloppy, it tasted fantastic, almost like an alternative mac & cheese recipe. Yum! Boil water on the stove and cook your pasta. Combine garlic in a blender with the pumpkin puree, almond milk and pre-soaked cashews. Blend until smooth. Pour in sauce pan over medium heat, adding nutmeg, salt, pepper and fresh sage leaves. Stir constantly, until heated through. Combine with cooked pasta and enjoy! Recipe inspired by and adapted from The Collegiate Vegan. The winner of the recipe is the roasted red pepper sauce, wow, I had no idea this would taste so good and that baking them would make them so sweet. My only regret here is that I didn’t make double the portion and store some for future use! Let the peppers cool and then cut around the stem in a circular fashion and pull the top off with the stem and seeds. Remove other seeds in the pepper, trying to retain the juice inside. Place the peppers, oil, garlic, salt + pepper in a blender and blend until smooth. Taste + add more salt if needed. If the mixture doesn’t smooth out blend in 1Tbsp at a time of diced tomatoes [canned or fresh] until smooth. Recipe inspired by and adapted from the Edible Perspective.